Improving colon cancer detection is crucial; it can prevent colon-related cancer deaths by as much as 60 percent in adults who are at least 50-years old – simply through routine scanning. However, traditional screening methods are associated with significant discomfort; this at home test solves this issue, and provides many advantages. This screens for colon cancer using DNA, so you don’t have to wait until you get a lesion or cancer for the doctor to notice – you can find it before any of this happens. Also, it uses a stool sample, as opposed to a blood sample, and it eliminates all the discomfort associated with a colonoscopy. In order to take a colonoscopy, the patient has to follow a low fiber or clear-liquid only diet for 1-3 days – you’re essentially drinking lots of liquids which will give you diarrhea. The day before the colonoscopy, the patient is given a laxative preparation, and the procedure itself is… let’s just say it’s unpleasant. It’s nowhere nearly as bad as it used to be years ago and you are sedated during the procedure, but people still tend to avoid it, even though they shouldn’t, as the disease poses a major threat. But this development could change things significantly. Cologuard, a colon cancer screening test that analyzes DNA found in the stool is set for approval – it hasn’t been approved yet by the FDA, but they almost always follow the advisors. “Exact Sciences Corp. (Nasdaq: EXAS) today announced that the U.S. Food and Drug Administration’s (FDA) Molecular and Clinical Genetics Panel of the Medical Devices Advisory Committee determined by a unanimous vote of 10 to zero that Exact Sciences has demonstrated safety, effectiveness and a favorable risk benefit profile of Cologuard, the company’s stool-based DNA (sDNA), non-invasive colorectal cancer screening test,” Exact Sciences announced on its website. 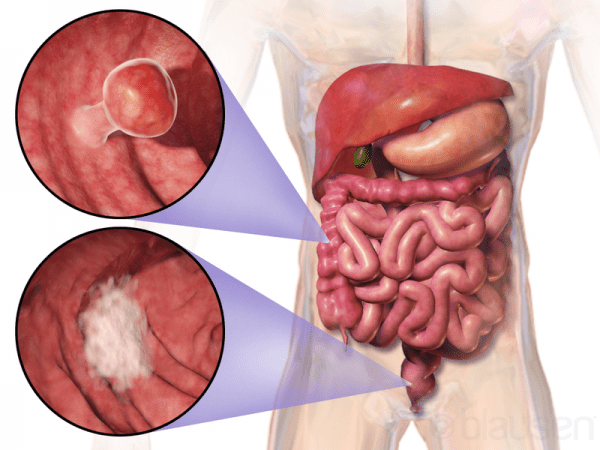 Symptoms of colon cancer do not often show up until the disease is already in its later stage. Health experts recommend screening so the disease can be detected in its early stages, when it still have a very good chance of being cured. The disease is one of the leading causes of cancer-related deaths in the United States.